SEGULA Technologies has earned solid references through its work in naval engineering, on design and detailed studies, appraisals and complete subcontracting projects, on all types of vessels, civilian and military, maritime and river-based, as well as in the offshore and port sectors. - Functional studies: installations for fluids, electricity, automation. - Integration / coordination studies. - Industrial studies : electricity, piping, ventilation, mechanical, hull accessories. - Studies on lifting tools. 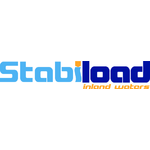 STABILOAD is an onboard loading software for stability and hull girder resistance calculations. Stabiload products are certified for IACS type 2 criteria for passengers or cargo ships or type 3 for MARPOL / IBC ships. Loading softwares for container logistics in inland waterways. Integrated suite for vessel stability and strenght controls with shipplanning interface. We are looking for sales partners for inland and maritime loading softwares STABILOAD in Belgium, Netherlands, Germany an UK. 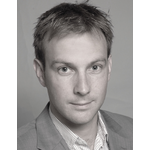 Ship brokers or shipyards. We are looking for customers : shipyards and ship owners.